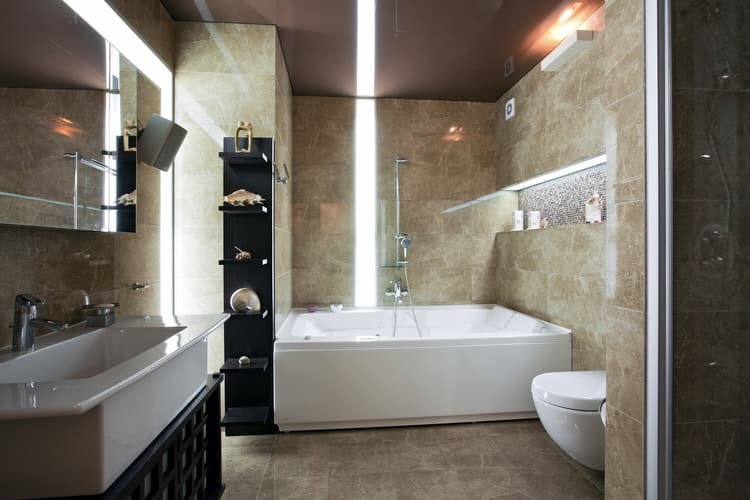 Luxury bathrooms have become an increasingly popular feature in homes in recent years. They are certainly great places to relax and unwind from the stresses of the day. However, they can also contribute greatly to the overall value of your home. Second to the kitchen, the bathroom is the one of the interior spaces that will help bring in more money when it’s time to sell. Besides your bedroom, the bathroom is your private retreat—a place where you take the time to indulge yourself and enjoy complete peace and quiet away from the rest of the family. It’s a place where luxurious features and upscale finishes are prized. 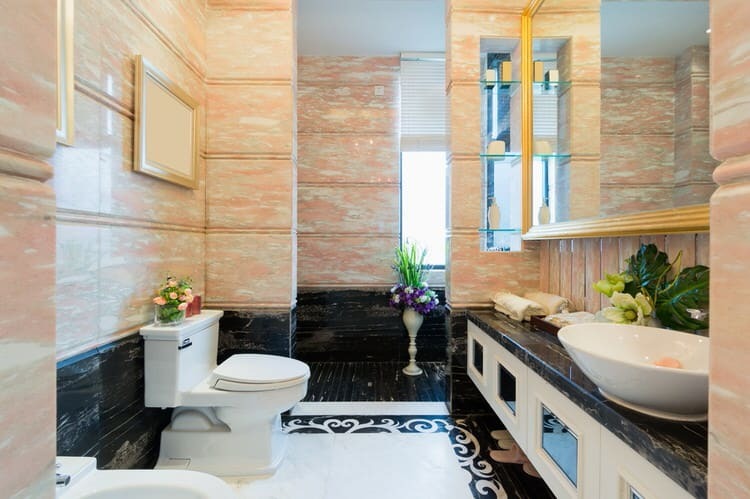 The bathroom in this penthouse apartment is the height of luxury. The curvy freestanding tub takes center stage in this spa-like setting. A wall of windows offers stunning views to the urban skyline just beyond the forested landscape below. The vanity is made from polished stone and the flooring is prefinished natural birch. 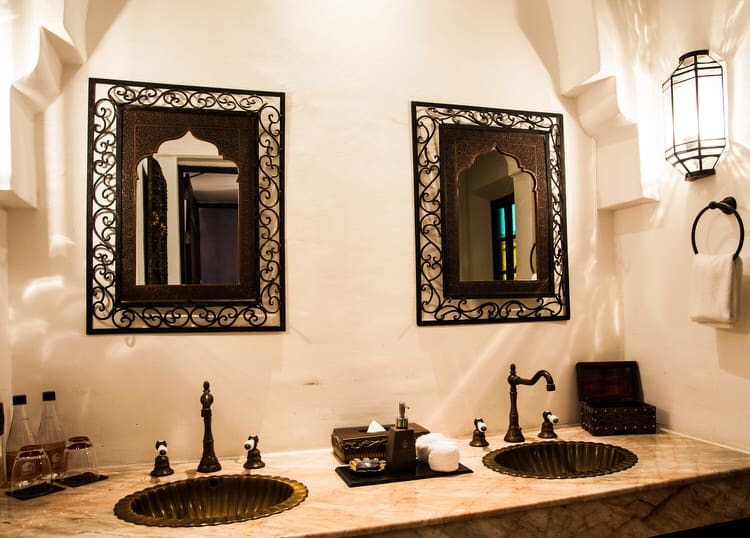 Attention to detail is of the utmost importance in an upscale bathroom. If you can afford to, splurge on high-end fixtures and finishes wherever you can. Custom cabinetry, subdued lighting and exquisite tile add a touch of romance to this tasteful master bathroom. A bathroom fit for royalty in this Victorian home features columns, arches a Palladian window. 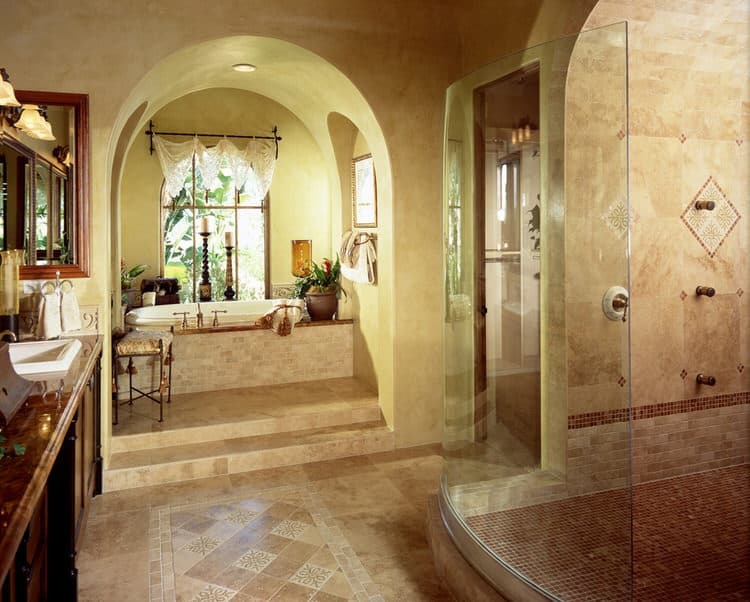 The entire bathroom is painted in yellow limestone, a custom color created by the homeowner. The travertine flooring and stairs lead up to the Roman-style bathtub. The reproduction light fixtures are a perfect complement to this historic residence. 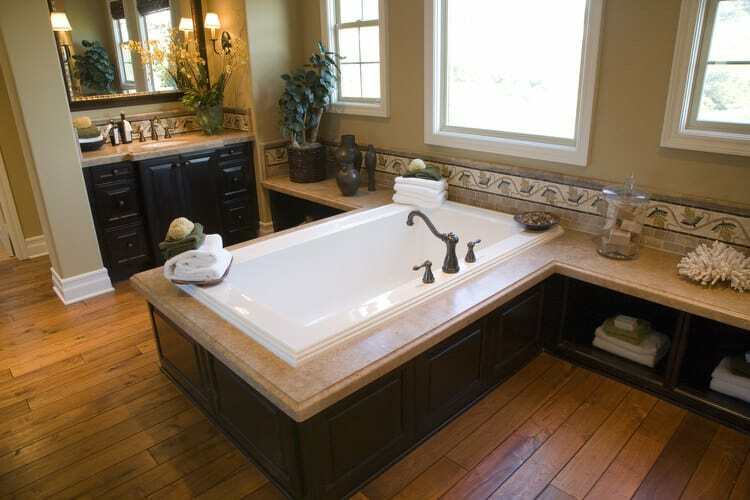 A freestanding tub could be the right choice for your bathroom if you want a piece of functional art in the room. This cast-concrete tub makes a big statement in this modern bathroom. It is part of a collection that includes the washbasin, toilet and bidet. The designer placed the tub on a bed of white river stones to underscore the homeowner’s love of nature. The cabinetry and tub in the luxurious master bath are wrapped in pine with a chocolaty-dark stain. This gives the room the look of a peaceful rustic retreat in the big chaotic city. Small touches like the plants, cork backsplash, wicker ottoman and storage baskets reinforce the organic theme. This freestanding hydrotherapy tub is the perfect addition to this southern California master bathroom. The tub was the brainchild of the homeowner who appreciates any opportunity to unwind after long stretches of business travel. Although the tub was not even in the original plan, the homeowner’s last minute decision turned out to be the best feature in the room. 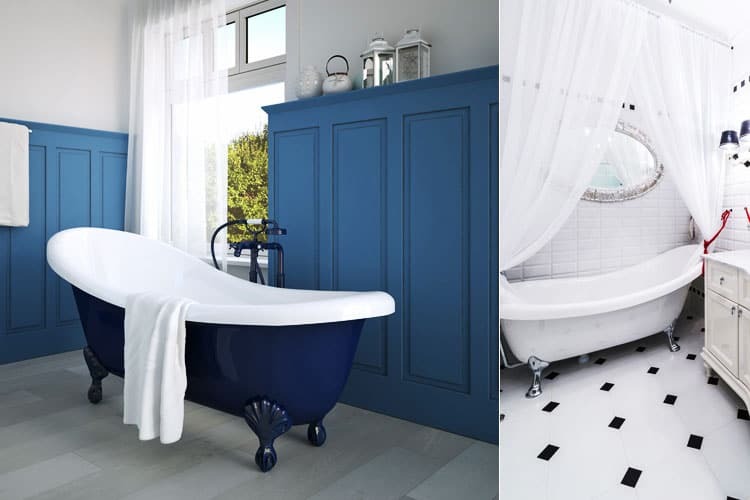 Blues are a good option when you want to create a relaxing atmosphere in your bathroom. Doesn’t this luxurious bath make you feel like you’re taking a dip in the crystal blue sea? Create a cohesive feel in your master suite by carrying a shade of this dreamy color onto the bedroom walls. 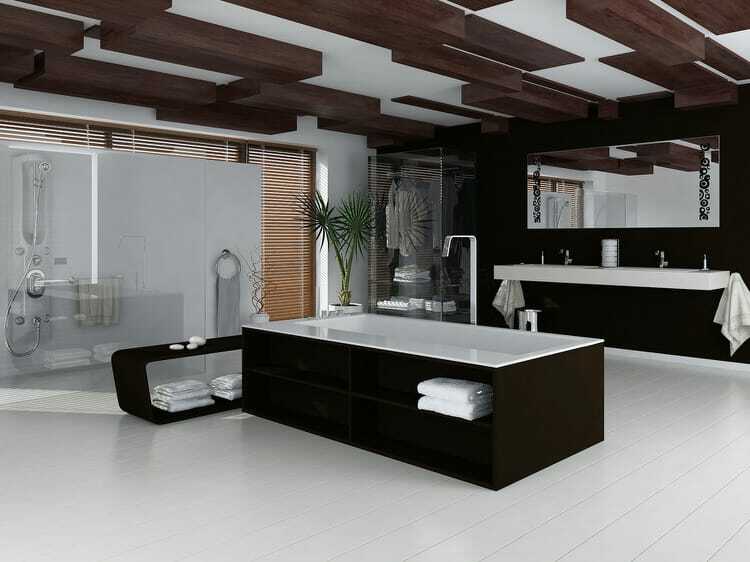 Black and white and modern describe this clean and simple bathroom. Along with the classic color palette, a geometric mix of rectangles, lines and curves give this luxurious room its personality. 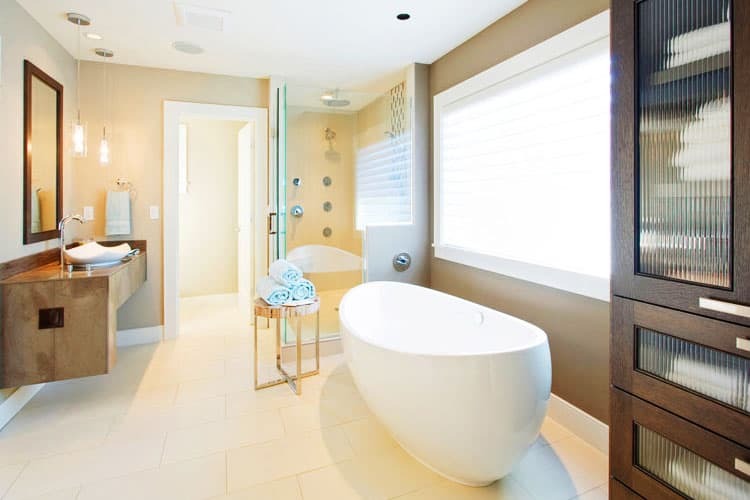 Placing the sleek tub in the center creates a sense of space in this impeccable design. In the bathroom of this loft dwelling, the amazing egg-shaped bathtub was custom designed to the homeowner’s exact specifications. We just wonder what will happen if he decides to sell the house—will the bathtub stay or go with him? The wood tiled flooring, frosted windows and artful lighting are also worthy of envy. 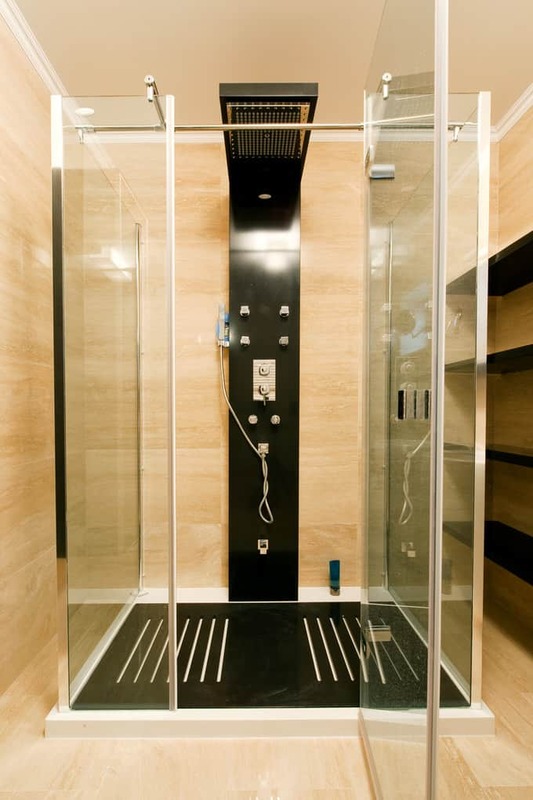 Walk-in showers have been around for decades and remain popular today. 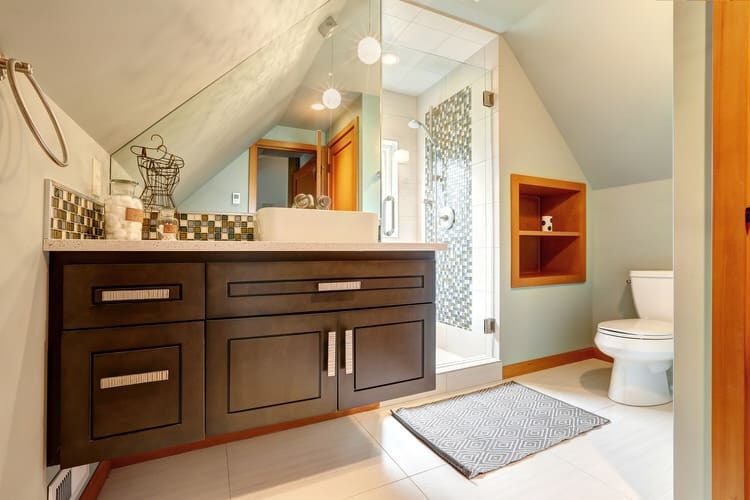 With homeowners expanding their bathrooms to epic proportions, the walk-in concept has seen a renewed level of interest. In this one, the rain showerhead provides a true spa experience and the natural stone flooring and tub deck add to the upscale look. Believe it or not, this is the vanity of a guest bathroom. The walls are smooth stucco tinted with the pigments from local red sandy soil. The countertop, flooring and tub surround are created with a rose colored stone mined from a nearby village. 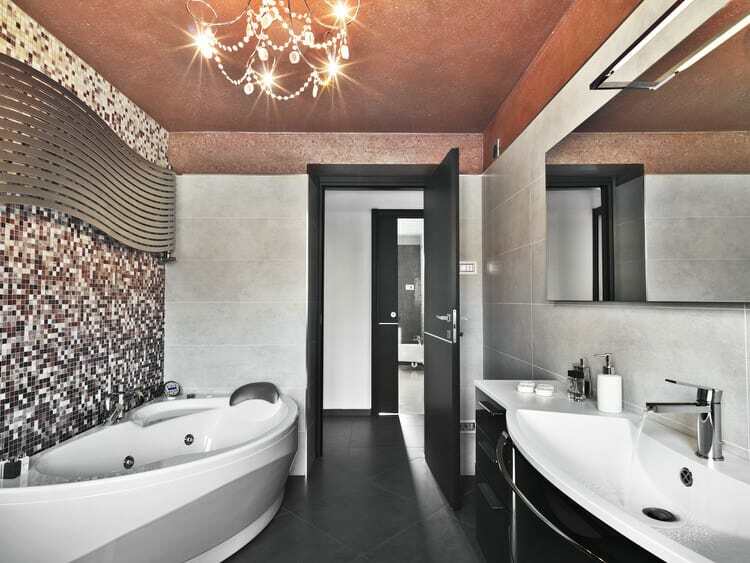 Who doesn’t love a glamorous bathroom? The sink area is just a peek into the rest of the space with its floor-to-ceiling windows and gleaming aluminum and cast iron French bateau bathtub. The vanity features this stylish oval basin carved from white Italian marble. 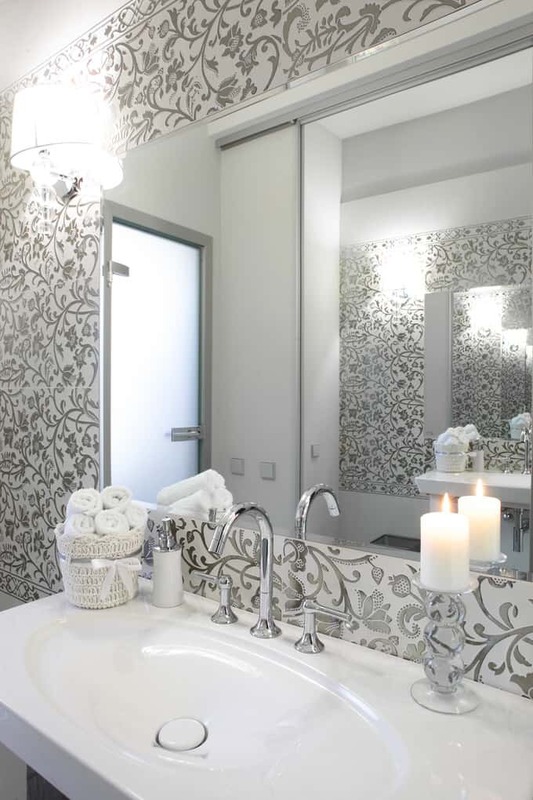 The silver floral wallpaper and crystal sconces add to the shimmer. 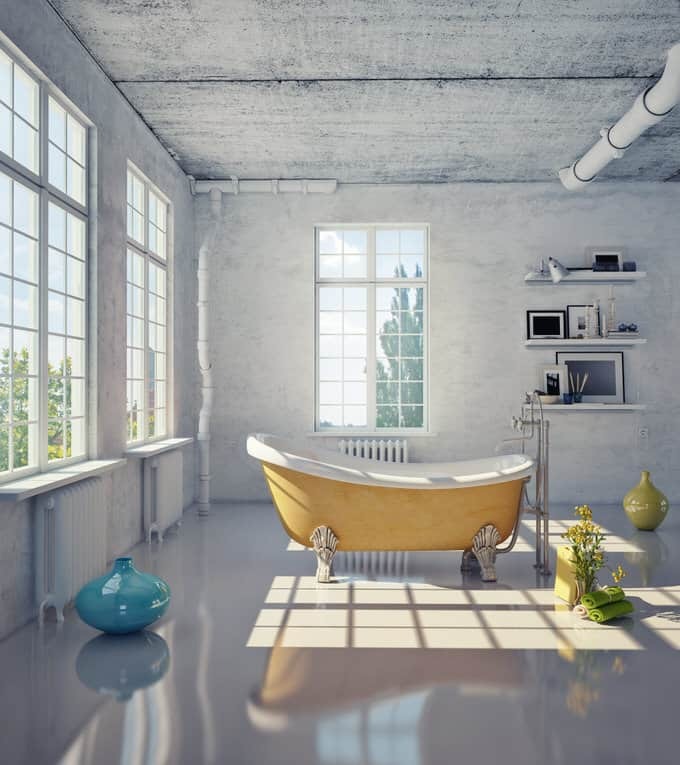 The juxtaposition of the bright yellow clawfoot tub and whitewashed concrete walls and ceiling is sheer genius. This striking bathroom design may be sparse on furnishings, but has a gigantic heart. The saturated hues of the ceramic floor vases add to the magic. A modern bathroom vanity can add a sleek and elegant design element to your luxury bathroom. The minimal design and understated hardware are a good choice where space is at a premium. The neutral color palette, vertical light strip, built-in ledges, open shelving, and floating countertop all contribute to the streamlined efficiency of the space. The quirky powder room in this New York apartment makes a bold statement. Powder rooms are places where you can summon up your design chutzpah and have some fun. 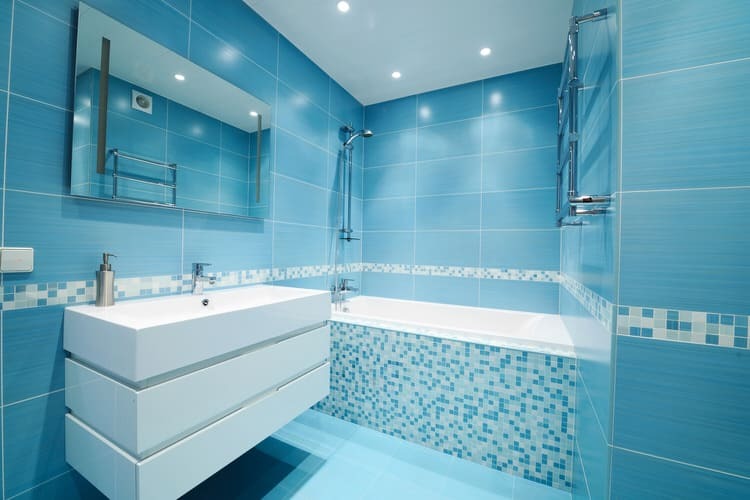 Here, the designer used deep teal tile and flooring with a glass vanity to give it an over-the-top feeling. This bathroom is the pinnacle of affluence and fashion. The walk-in closet right off the master bathroom in this Beverly Hills estate is a mix of practicality and lavish design. This functional layout allows you to get all of your bathing and grooming needs met then hop right over to the dressing area to pick out the latest in couture fashion. 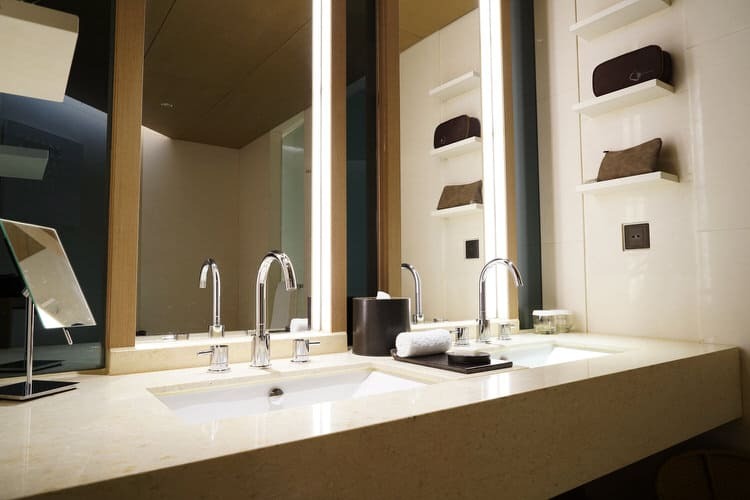 The natural stone patchwork of this vanity area holds up to the daily use of family and guests alike. This powder room combines commanding presence with striking beauty. 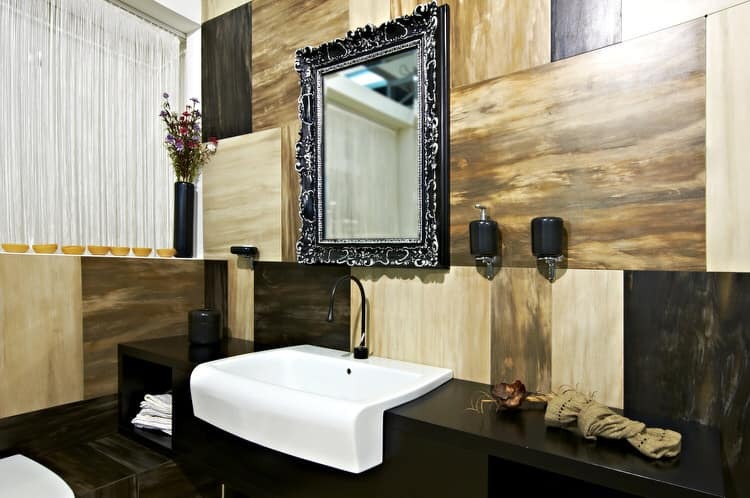 The look is definitely old school luxe thanks to the black countertop, natural stone and ornate mirror. Here is a fabulous spa for two in a high-rise condo. The owners wanted a light, contemporary and functional space. The open shower gives the space a seamless look. The sophisticated tub surround and shower floor are simple wood planks that pick up the tones of the cantilevered vanity. Smooth gray tiled walls set the mood in the room and are the perfect pairing with textural wood accents. This luxurious master bathroom is the ideal merging of classic style with modern conveniences. 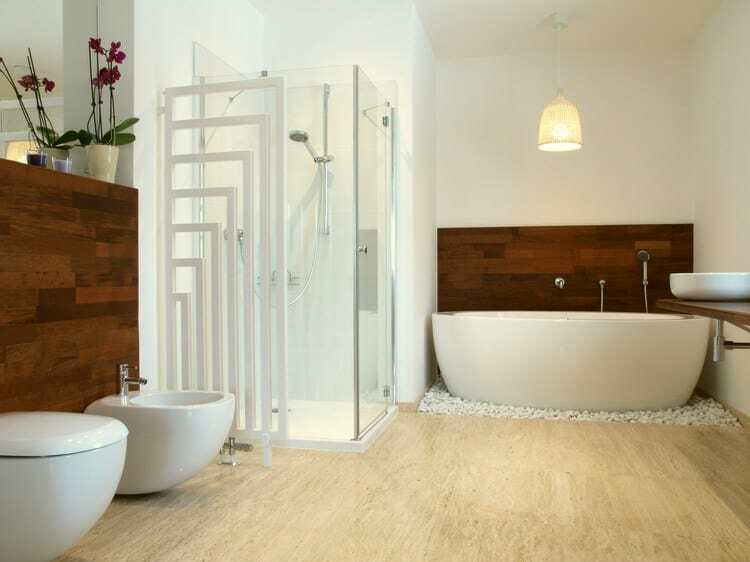 Soft neutral colors fill the space from the flooring to the shower enclosure to the paint color. The bathroom’s showstoppers are the walk-in shower with multiple body jets and the whirlpool bathtub situated up the steps and under the arch. It’s a beautiful dance of understated elegance and sublime design. Situated on the other side of the glass wall behind the bathtub is this glorious walk-through shower. It can be entered via walkways on either side. 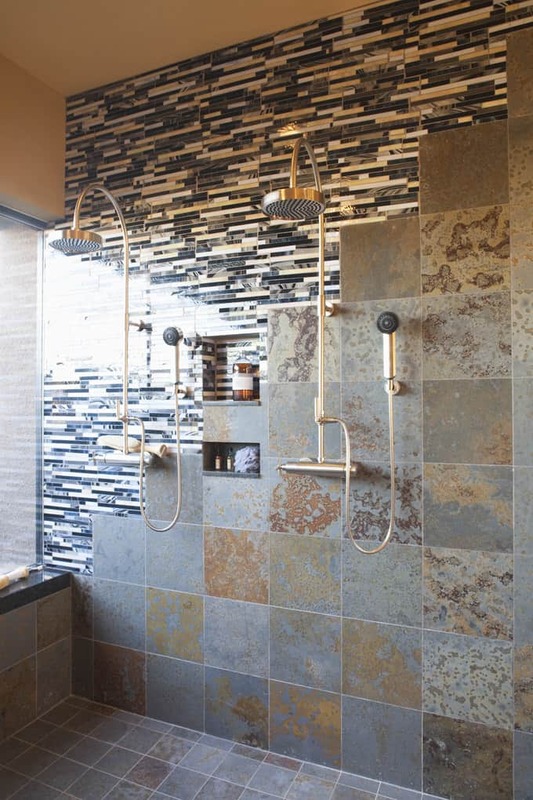 The combination of shimmering mosaic tile and natural slate make it an eye-catching design feature and important part of the homeowners’ morning ritual. We find ourselves constantly fall for crisp white baths, but were stopped in our tracks by this dark, masculine wood paneled bathroom. There is no hint of spa here, just a library den-like enclave where the gentleman of the house goes about his daily grooming and dressing. The marble flooring and counters look gorgeous against the rich wood and set the tone for “his” exclusive space. 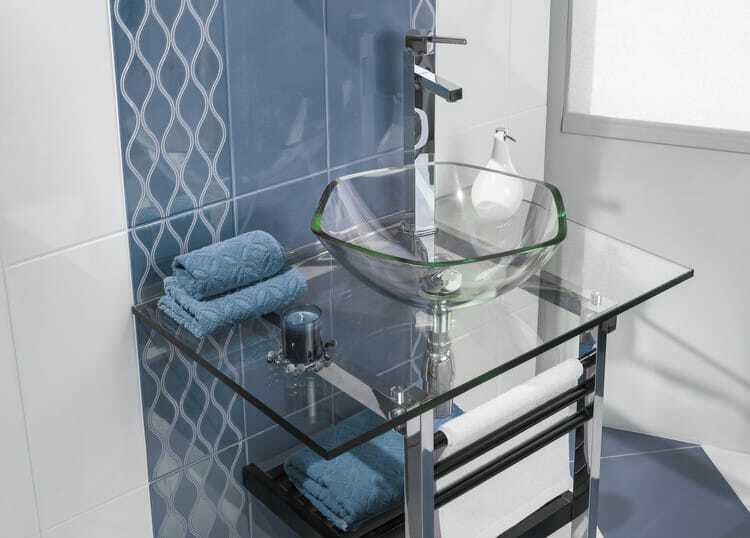 Don’t forget to keep your luxury bathroom looking neat and tidy by adding stylish bath accessories. We believe a little bling never hurt anyone. 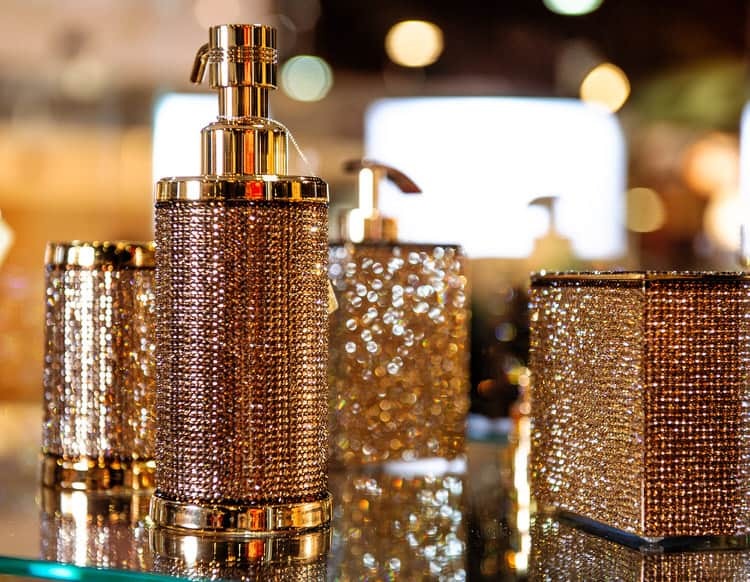 These rhinestone encrusted lotion dispensers, tissue holders and cups will keep your vanity clutter-free and add just that right amount of sparkle to the room. 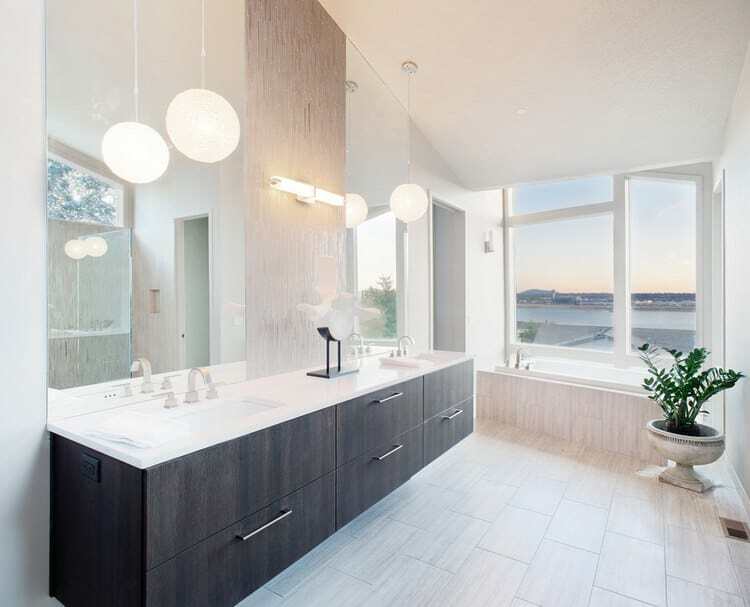 This master bathroom is a warm blend of form, function and style. From the storage bench along the window wall to the heated floor below the beautiful plank floor, it provides an indulgent start and end to each day. 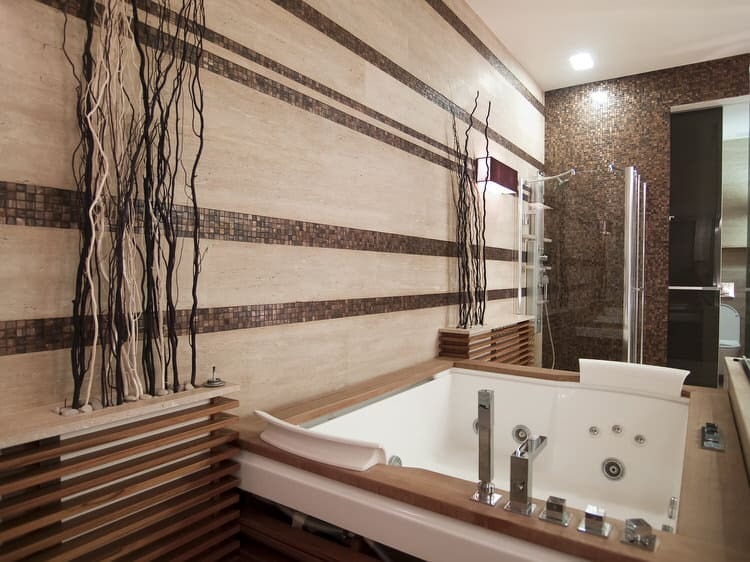 The mosaic backsplash, cherry-wrapped bathtub and quartz countertops enhance the traditional design. 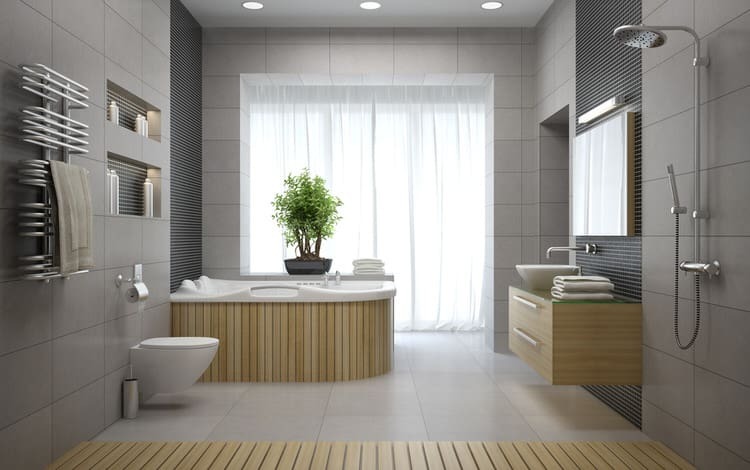 Here’s an important factor to consider when planning any bathroom space. 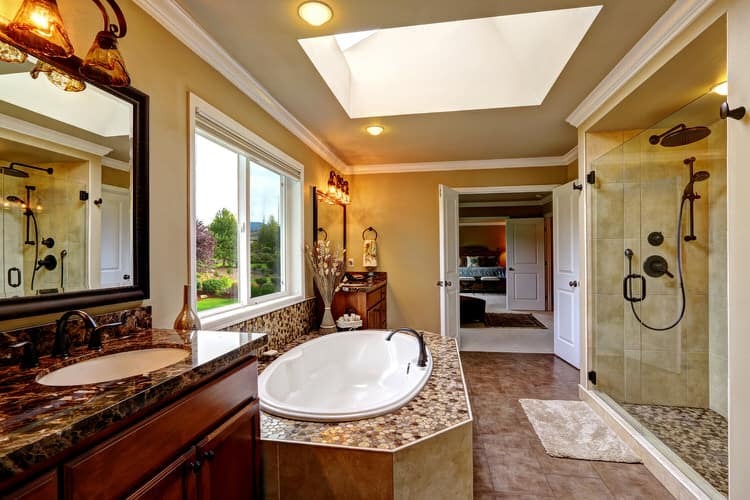 If your bath is directly adjacent to the master suite, try to create flow between the two. That openness will make both the spaces feel larger and will increase the functionality and efficiency of the suite as a whole. 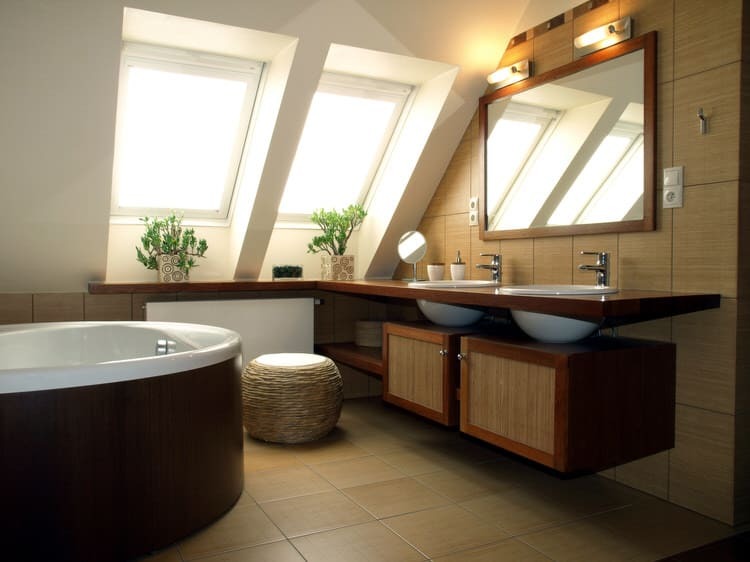 When planning fixtures like sinks, tubs and toilets for your dream bathroom, think in terms of “bigger is better”. Double sinks are an absolute must (unless you have a space issue). 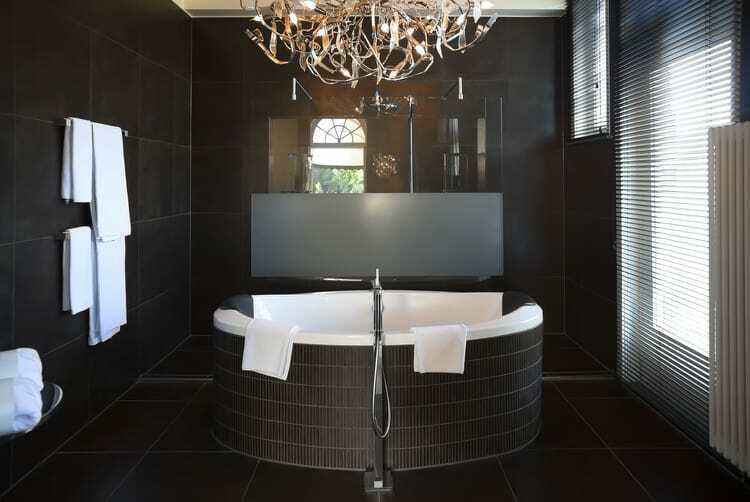 A large freestanding tub can serve as a focal point and an all glass shower can emphasize an open design. Think about creating a separate water closet for privacy. The master bathroom in this Florida vacation home features a resin bathtub and custom fittings. The walls are covered in color coordinated mosaic glass tiles from floor to ceiling. The wavy wall art is the homeowner’s design and the classic crystal chandelier keeps this space from becoming overly trendy. The walls of this master on-suite are painted in ordinary white. The flooring is tumbled marble tile. This bathroom still life stars a one-of-a-kind antique clawfoot tub imported from France. The uniqueness is in the tub’s finish. It is plated in 18-karat gold and features a brushed finish. 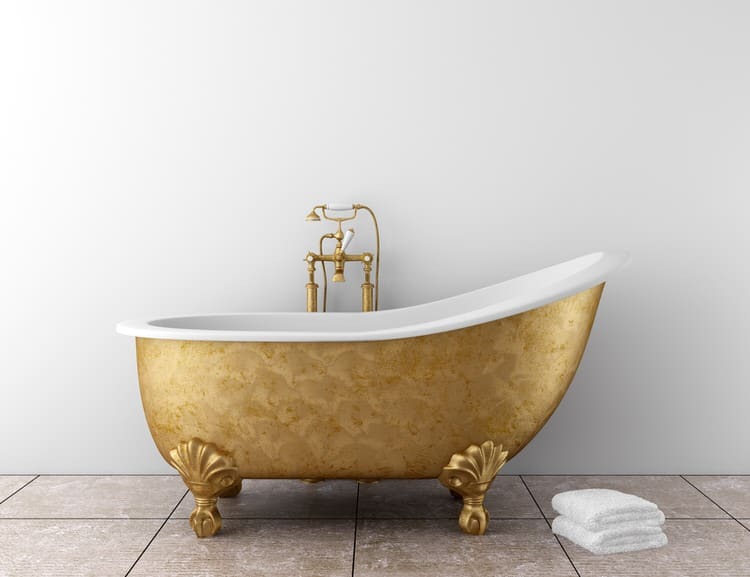 The tub feels both regal and flamboyant—it’s a show-stopper! This beachfront beauty in Brazil is designed to maximize the views in every room. The bathroom is certainly no exception. The unobtrusive sunken tub is surrounded by native koa. The only other features in the space are the floating vanity and white leather ottoman. What else would you really need? The little things make a difference—especially in an extravagant bathroom. 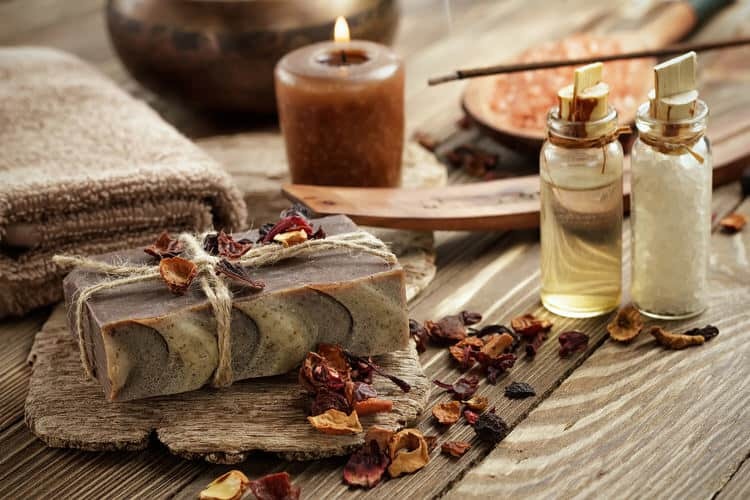 Consider using locally crafted soaps, wooden vessels, bath oils and candles to dress up the space and enhance the mood. These natural treasures are all organic and created by artisans who practice a sustainable lifestyle and business model. You will be contributing to the local economy and creating a luxurious space as well. Although this bathroom has a decidedly modern look, its roots are in Indonesia. The homeowners decided to design their bath that reminded them of the outdoor showers they enjoyed during their recent holiday. The natural color scheme was inspired by the local hardwood and beach sand. The custom light fixtures are designs based on those found at the island resort they called home for a month. 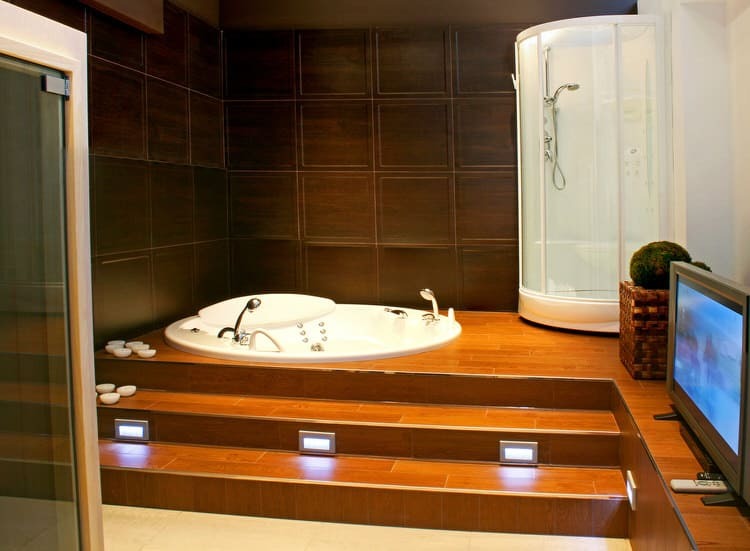 Your bathroom is more than a place to bathe. It is a sanctuary to soothe the mind and relax the body. Today’s lavish bathrooms feature everything from furniture pieces and televisions to fireplaces and mini-bars. 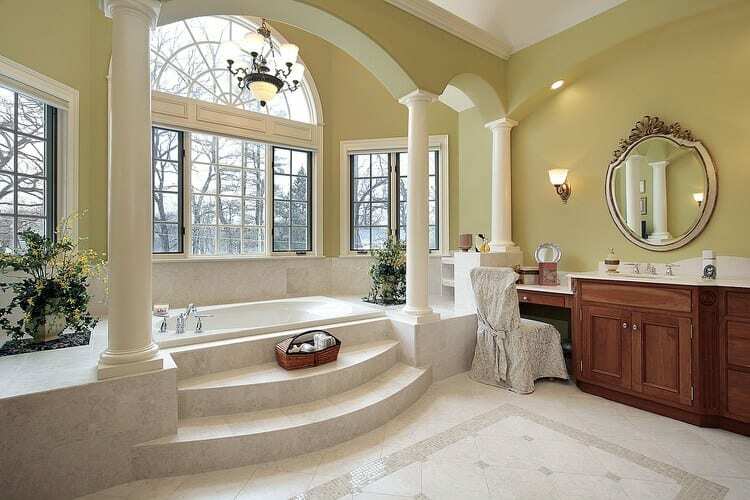 This bathroom is designed for lounging, primping and bathing. Sense and sensibility is the theme of this sophisticated powder room. It is situated right next to the upstairs media room and entertaining deck. 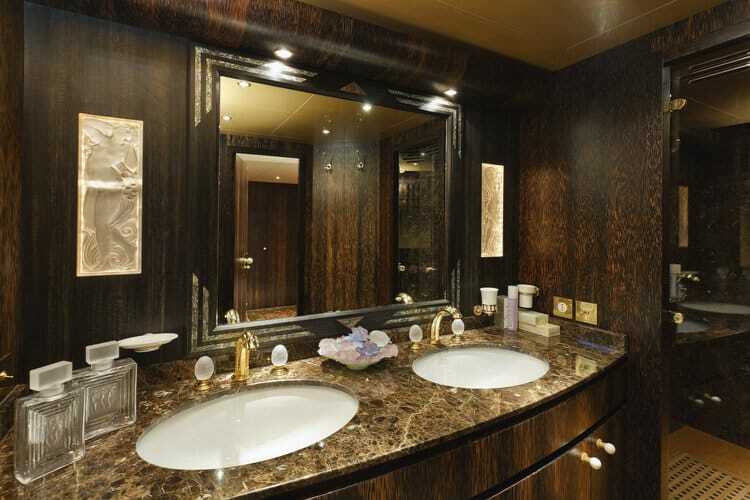 The vanity is constructed of a walnut counter topped with glass and cantilevered from the marble wall panel. The space below features open shelving for storage. This ornate tile floor has a hot secret to share. Heated flooring is just one of the pampering features in this grand master suite. Two-tone marble walls create an unusual wainscoting effect. 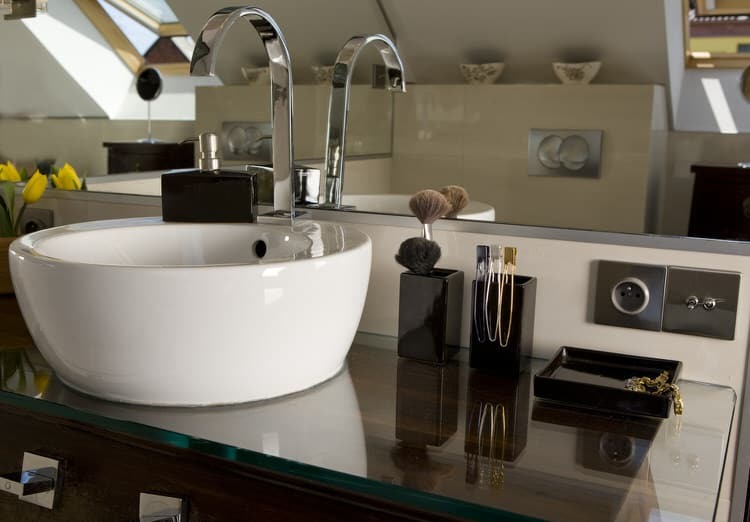 The sculptural vessel basin and vanity with smoked glass panels further enhance the room’s elegance. The main house of this Kentucky horse property dates back to the 18th century. 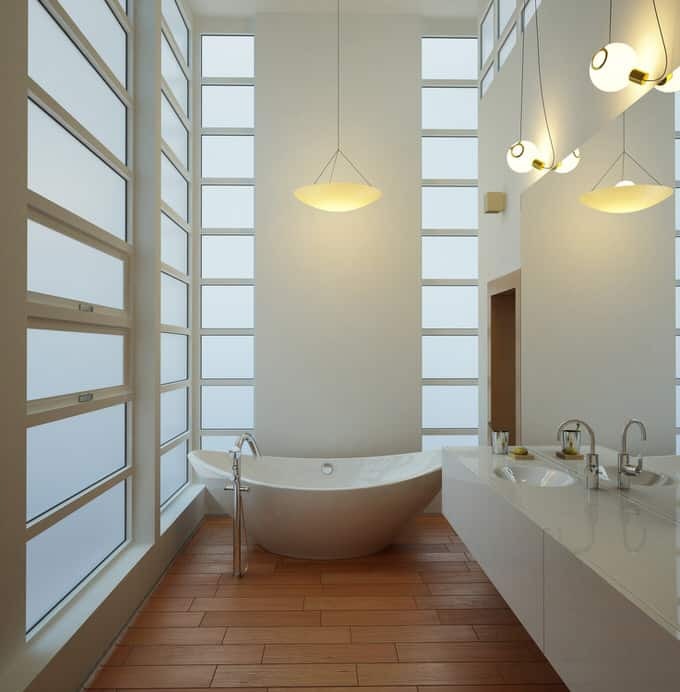 The bathroom design fits in perfectly with the home’s lineage and architecture. The antique white custom cabinetry is repeated throughout the residence. The freestanding slipper tub is a modern take on a vintage design. The traditional space has a historic feel with the subdued colors, period fixtures and stone flooring. You don’t need airline tickets to escape the rat race. Take a trip to the tropics in your very own bathroom retreat. The French doors leading to the patio and garden bring nature into the spa-like space. The natural wood, subdued lighting and minimal design make for a relaxing time away from daily stresses. The bathroom in this Los Angeles Spanish revival looks nothing like the rest of the spaces in the home. 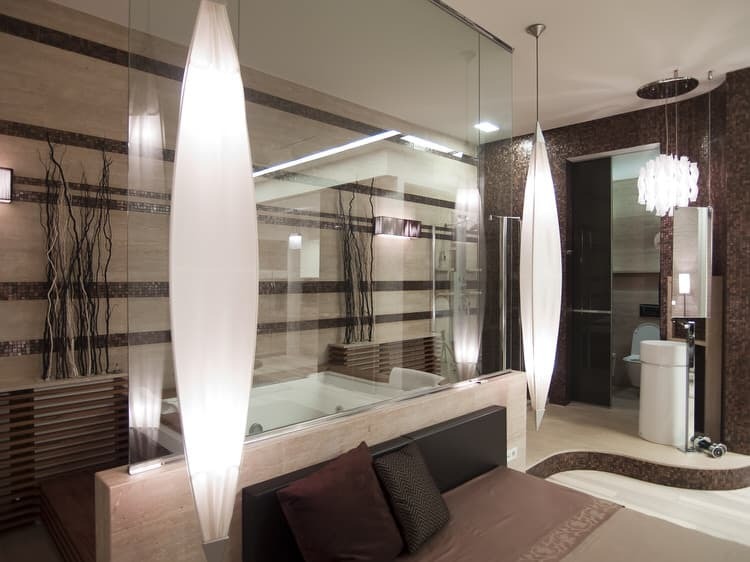 The designer went with sleek art deco lines and colors for this dazzling shower stall. Black tile, glass and steel set against peach marble make this the focal point of the master suite. Variations in the veining of the Carrara marble floor and countertops create visual interest and Old World elegance in this luxury bathroom. The black painted trim and wainscoting in the tub room give the traditional space a contemporary twist. The window alongside the jetted tub offers stunning ocean views straight through to the bedroom. The split vanity is a great feature for busy couples—no bumping into each other when getting ready in the morning. The dark stained cabinetry provides lots of storage and complements the white tile and surfacing materials. Globe pendants light the space and give it a retro feel. A glass wall separates the deep resin soaking tub from the living room in this urban apartment allowing for unobstructed views of the city. When the homeowner requires privacy, the smart glass wall goes from transparent to opaque with the flip of a switch. This special chandelier doubles as an overhead tub filler for the freestanding bronze and cast iron bathtub. Insulated cellular window shades help keep this incredible bathroom warm during the winter and shield the room from intense summer sun. White towels add a bright touch to the moody bathroom. Incredible wood floors and a curved front shower transformed this plain bathroom into a spa-like escape. The flat screen television adds an entertaining touch to the bathroom. The LED stair lights provide soft illumination and also perform a practical function. Heated floors are the ultimate in a bathroom. There’s nothing like stepping onto a toasty tile floor after a shower or bath. The economical radiant heat mats under this bathroom floor can be fitted for rooms of any size or shape.